Join an Alliance today! Your reign of power will only fortify with the consistent support and loyalty of your fellow Alliance members. 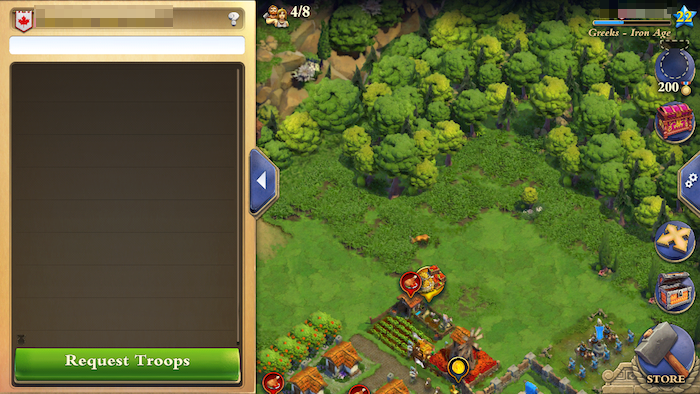 Alliance members can chat and send each other reinforcement troops as needed. 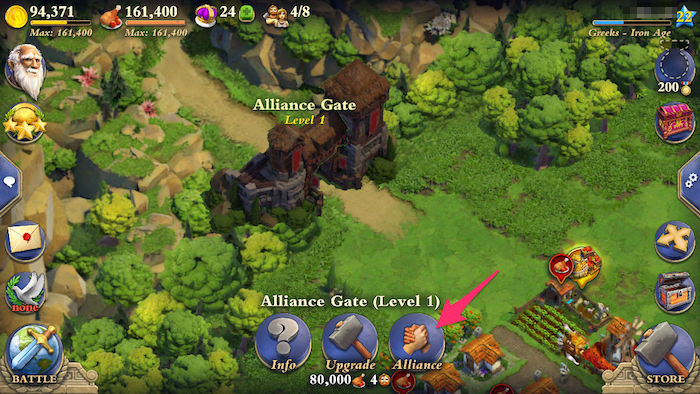 Once you reach Iron Age, you will be able to repair your Alliance Gate (requires 30,000 Food). 3. Click an Alliance name that peaks your interest and still has vacancy (meaning less than 50 allies). 4. Next to the alliance name, you will find a green button that says "Join"
5. 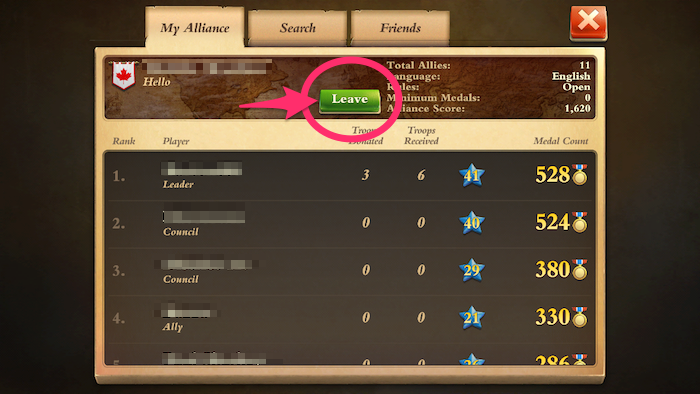 Once you have successfully joined an alliance, you will see that the green "Join" button has now turned into a "Leave" button. 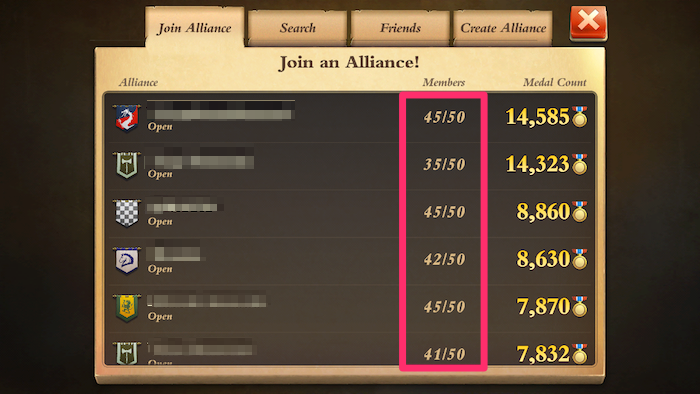 You can click the "Leave" button if you do not want to be part of the Alliance any more and join another one. *NOTE: Even if an alliance appears to be open, you may not see a "Join" button if the alliance only accepts players with over a set amount of "Minimum Medals" and you do not qualify the requirements. 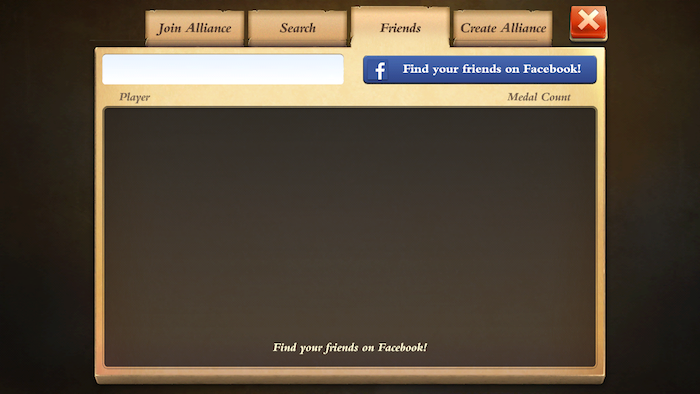 Now, if you go back to your base, you will be able to click the "Chat" button and talk to your fellow alliance members. 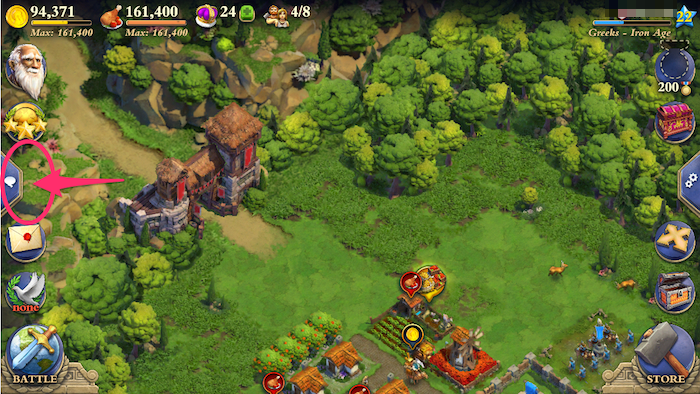 AND, you will also be able to request troops! 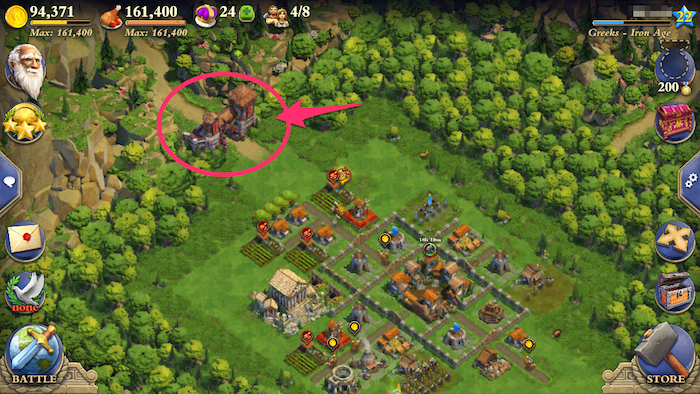 While we are on the topic of "Alliances," here are a few more tips on getting the most out your Alliance Gate! 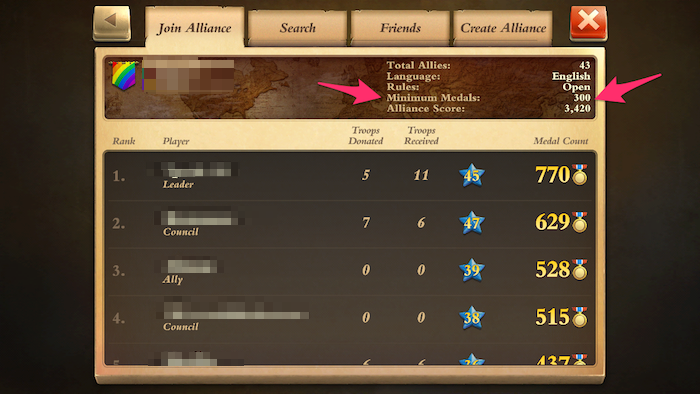 You can search for specific alliances. You can filter your search with the "Clean Language Only" option. 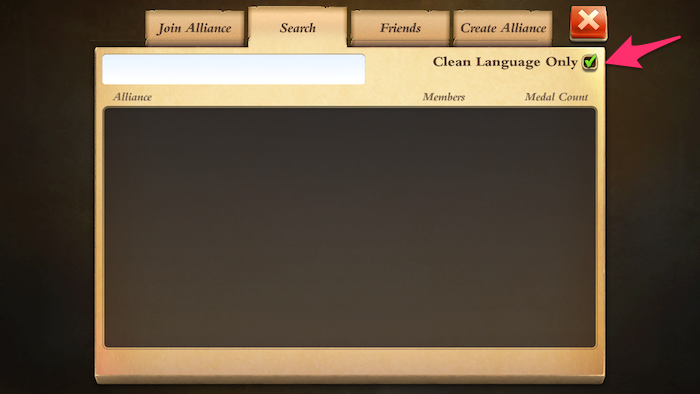 On an additional note, if you can't seem to find a specific alliance you are searching for, please try searching again after turning off the Clean Language Only filter. Connect your Facebook page and play DomiNations with your friends! Can't find the right alliance for you? 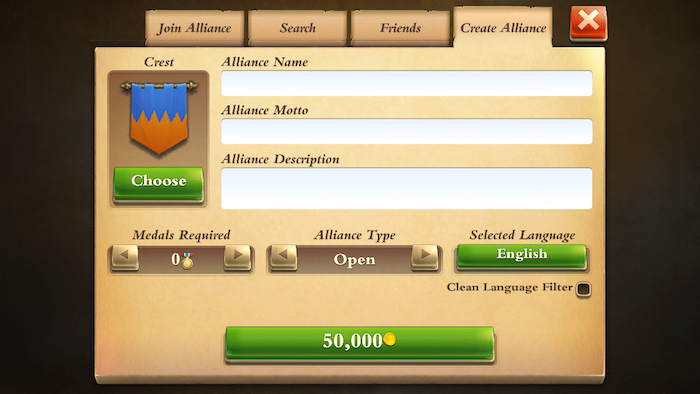 Tap "Create Alliance" and make your own! Alliance Type: If the Alliance Type is set to 'Invite-Only', other players can request to join your Alliance. However, if the Alliance Type is set to 'Closed', other players can't request to join your Alliance. You will be able to either accept or decline the requests via the alliance chat box. Last edited by Wvolf; 04-22-2015, 10:31 AM.